(RxWiki News) Before you hit the beach or the lake this summer, follow these easy tips to keep yourself and your family sun-safe. 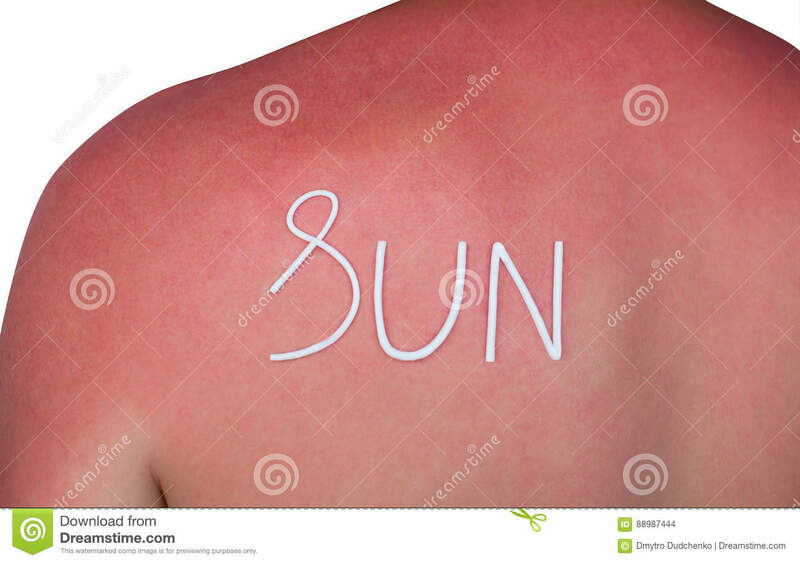 Although the symptoms of a sunburn are not permanent, sunburns can damage skin cells permanently. 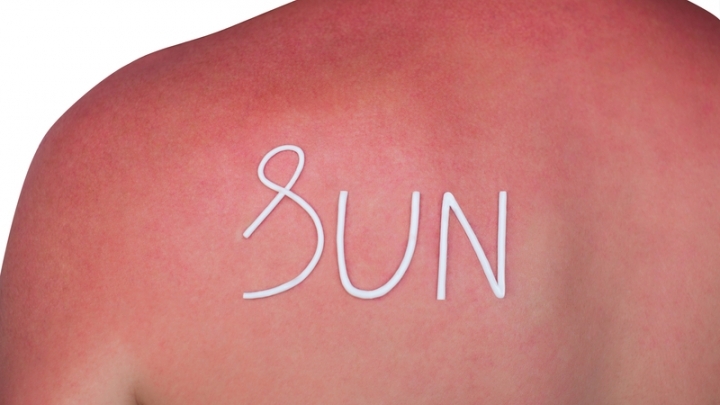 Sunburns can lead to premature aging of your skin — as well as skin cancer. Everyone is susceptible to sunburns. In fact, the sun’s ultraviolet (UV) rays can damage the skin in as little as 15 minutes. Melanin is what gives your skin its color. When exposed to UV light from the sun or from tanning beds and sunlamps, your body produces more melanin as a form of protection. This is why you may notice a tan when you get some rays. However, the ability of the body to protect itself only goes so far. Sunburns occur when you are exposed to a great amount of UV light that exceeds the ability of your body to protect your skin. Reduce the time you spend in the sun. This is particularly important when the sun's rays are the strongest, so be sure to check the UV index to help plan outdoor activities. The sun's rays are typically the strongest between 10 a.m. and 2 p.m. Dress to protect your body from the sun's rays. This means wearing a wide-brimmed hat, long sleeves and pants. Furthermore, using an umbrella is recommended. You may consider wearing clothes or outdoor gear that offer sun protection. These products will usually come with information on their ultraviolet protection factor. Wrap around the face and block as close to 100 percent of both ultraviolet B radiation (UVB) and ultraviolet A radiation (UVA) as possible. Sunglasses that are more expensive do not necessarily offer more protection. Are labeled as sunglasses. Children should wear real sunglasses instead of toy sunglasses, which do not offer UV protection. Apply sunscreen generously. To cover the body from head to toe evenly, you need at least one ounce of sunscreen (about the amount it takes to fill a shot glass) for an average-sized adult or child. Babies and children need extra precautions and sun protection. Keep your baby and small children in the shade as much as possible. A cloudy day does not mean you're in the clear when it comes to sunburns. Applying sunscreen is recommended even on slightly cloudy or cool days. This is because UV rays can pass through clouds. And snow, sand, water and other surfaces can reflect UV rays. Is broad-spectrum. Choosing a broad-spectrum sunscreen ensures you are protected from both UVB and UVA rays. Offers a sun protection factor (SPF) of 15 or more. The SPF number, assigned to sunscreens, rates their effectiveness in blocking UV rays. Higher numbers mean more protection. Although no sunscreen is waterproof, try to select a sunscreen that is water-resistant. If a sunscreen is labeled as water-resistant, this means it is required to be tested and will indicate if the sunscreen remains effective for 40 minutes or 80 minutes when swimming or sweating. Even though the sunscreen may be water-resistant, it will still need to be reapplied. See the directions on the label to know how often to reapply. Apply at least 30 minutes before going outdoors, especially before getting wet. Anyone over 6 months old should be protected with sunscreen when spending time outdoors. If you cannot find shade, make shade. Shade can help protect infants and reduces the risk of sunburns. Some medications may increase your sensitivity to the sun and result in sunburns. Examples include certain antibiotics, such as doxycycline and fluoroquinolones. Speak with your doctor or pharmacist to see if any of the medications you take might increase your sensitivity to the sun.